Gold Heart Optical Centre has been serving the community since 2003. 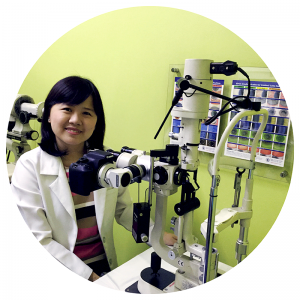 It started out as a general optometry clinic but has evolved into a clinic that serves patients with difficult optometric needs. 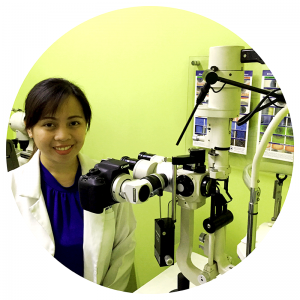 Our mission is to maximize patients’ vision and be the trusted optical clinic in the community. Gold Heart Optical Centre is an optical clinic in the heart of Quezon City, Philippines that is involved in fitting specialized contact lenses such as scleral contact lenses, Kerasoft IC lenses and rigid gas permeable lenses for patients with corneal irregularities such as keratoconus and post-refractive surgery ectasias. We also offer prosthetic contact lens fittings, myopia or nearsighted control management, dry eye management, eyeglasses and spherical, toric and multifocal contact lens fittings. Gold Heart Optical Centre provides personalized eye care service to our patients. Special interest in advanced spectacle lens technology to offer the best vision correction possible in multifocal and single vision lenses.